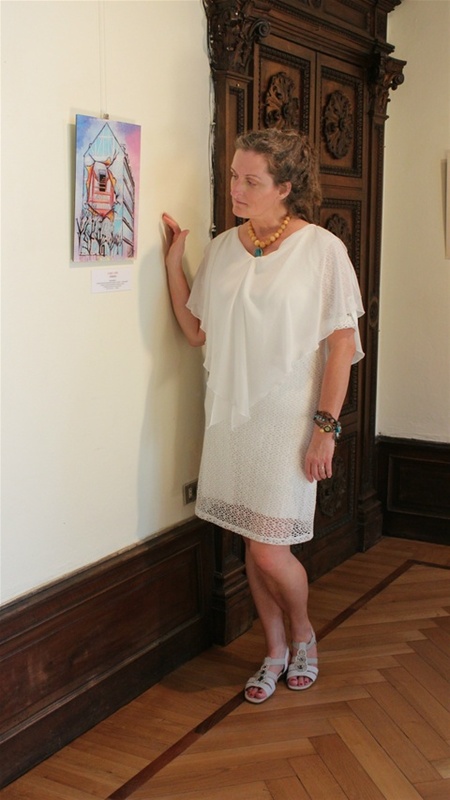 Lisbet Lark has now had several Museum exhibitions. Some are permanent, some are semipermanent, some are travelling, some were juried exhibitions and for some of them she was a selected artist for a time limited show. The New Museum Of Networked Art, Buenos Airos, Argentina. Name of artworks: "No!1" and "No!2"
Media: ink on watercolor cardboard. "Abandoned Illustration Line." Miniature art 10cm x 12 cm. "No!1" and "No!2"
Exhibition period: Nov. 27th- Dec. 15th 2017. Exhibition place: The Courthouse of Buenos Aires, Argentina. Artist Statement: "Respect the very first "No!" Place of origin: Journey to Nordcapp, Norway in 1988, before her 1st marriage, when her name was: Lisbet Larsen. Media: Old handwritten leather bounded travelling diary with original illustrations, anecdotes and notes. Exhibition period in Rundetårn (Round Tower), Købmagergade 52, Copenhagen: Nov 19th 2016- Jan 17th 2017. Multi-faceted art- and author work belongs to Museum og Broken Relationships in Zagreb and Los Angeles. 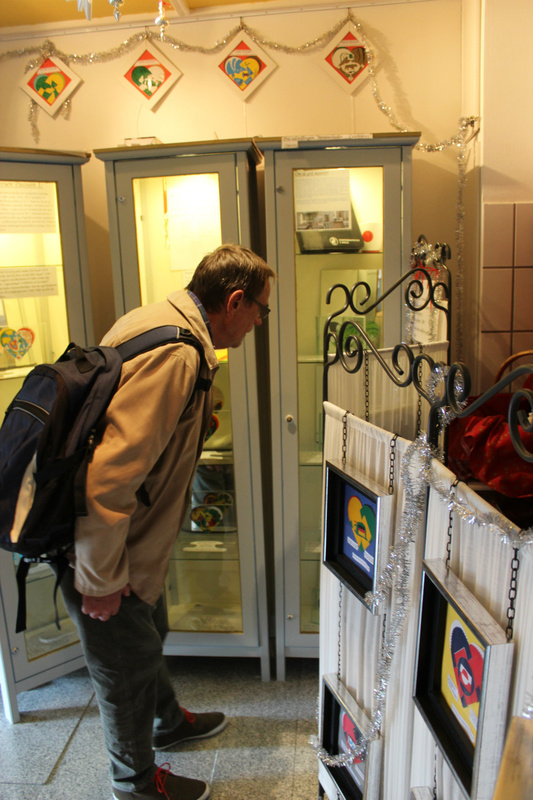 After exhibition in Round Tower, it will therefore follow the museum back to Zagreb. Art Museum Castle Charlottenborg, Copenhagen, Denmark. Artist: Lisbet Lark (at Simone Aaberg Kerns "Batalje exhibition). Media: Skirmish, craons and ink on cardboard. 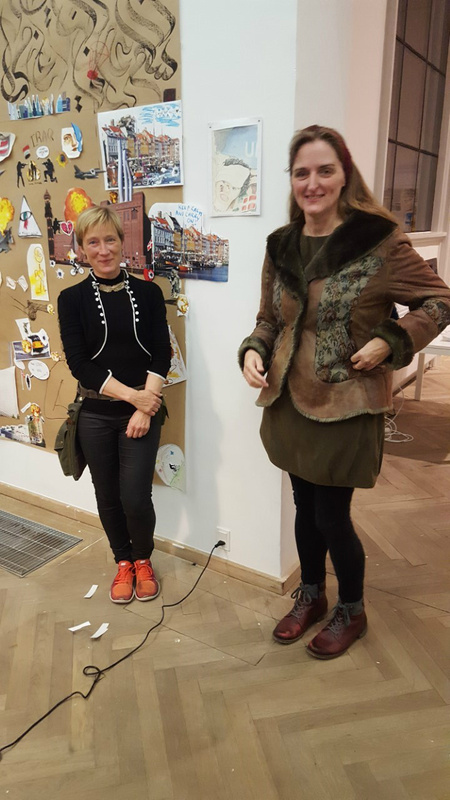 Place of origin: Artwork was created on oct 14th 2016 at Charlottenborg. Exhibition period: Oct 14th - nov 11th 2016. Name of artwork: "Casa Utopica1." Media: Digital painting / photo art, selfdeveloped media. Meassure: 30cm x 40 cm. Place of origin: Frederiksberg, Copenhagen. Exhibition period: May 4th- May 18th 2016. 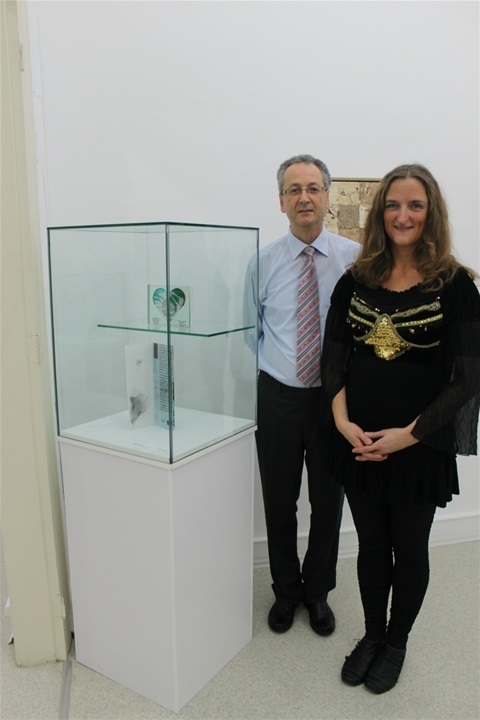 Lisbet Lark was given: "The Art- and Science Award 2016 " in Milano. 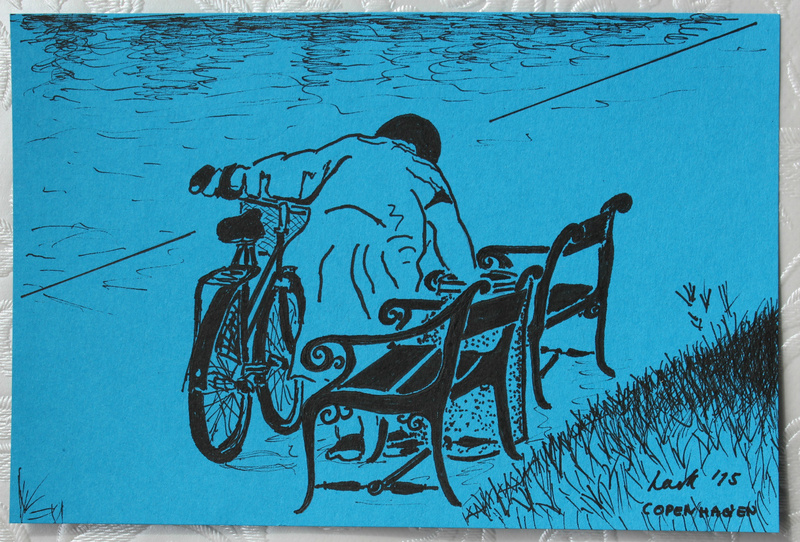 Media: Black ink on container blue cardboard. 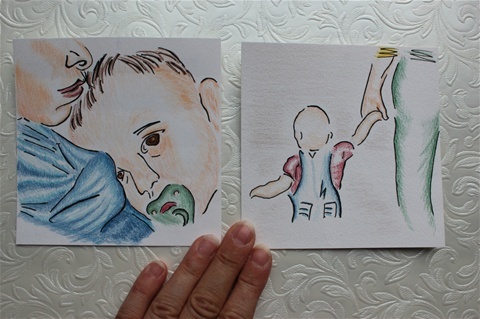 Miniature artwork, illustration Line 2, "Abandoned" Line. Museum: The National Goriska Museum at Kromberk Castle, Slovenien. Exhibition period: From April 28th to Sept 5th 2016. 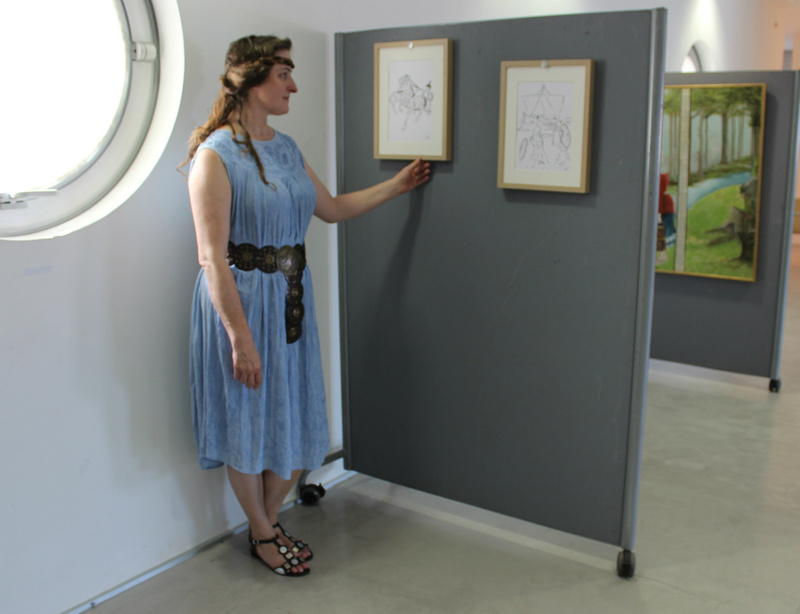 Lisbet Lark got a 1st price award for her 3 artworks. Please, visit the meny item "Awards"
The shown missing artwork belongs to the museum. 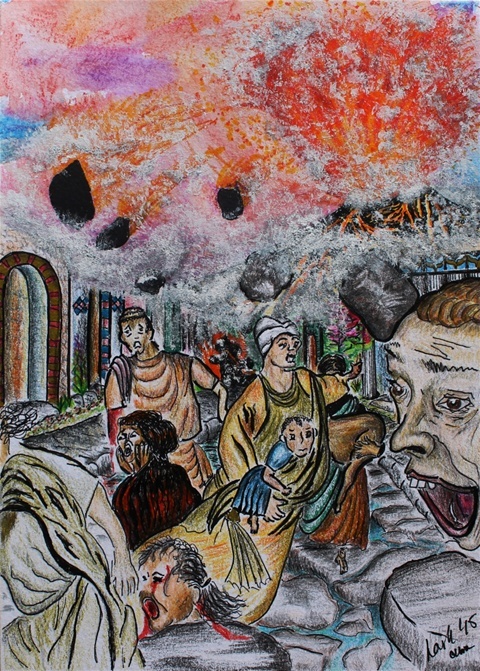 Name of artwork: "Panico Pompei1"
Media: Watercolor, crayons and ink on cardboard, (Ancient history colored illustration line). (LL´s 1st specimen of artworks with this drawing line). Place of origin: Olbia, Sardinia, Italy. Measure: Miniature artwork, 15cm x 22cm, created by use of magnifying glass. 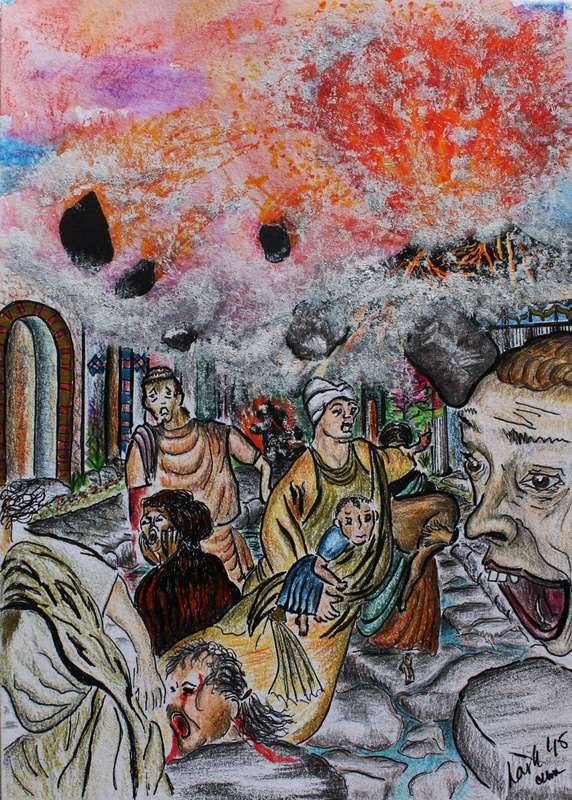 After exhibition artwork stays in The city of Pompei available for upcoming travelling (museum) exhibitions. Media: Crayons and ink on cardboard. "Close-up" coloured illustration line. Meassure: miniature 12, 3 cm x 12,3 cm. Names of artworks: "Trust1" and "Self-confidence1." 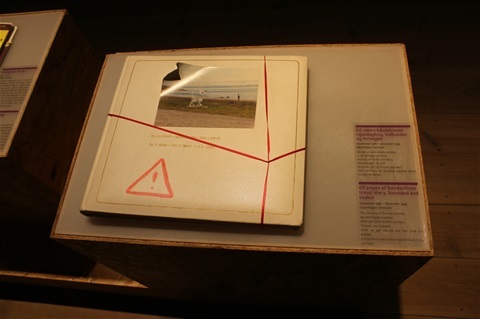 Artworks were sold to an art collector during exhibition. Adress: Isola di Peddone Porto Olbia, Sardinia, Italy. Exhibition period: June 13th. - June 21st. 2015. Media: Naturalistic Ancient History Illustrations. Ink on cardboard. Meassures: 30cm x 40 cm incl. passe partouts and metal plates. Name of artworks: "Etruscan Chariot" and "Battle Scene." Type of exhibition: Selected artist. Type of exhibition: Juried museum exhibition (Censureret udstilling). Lisbet Lark´s 1st juried exhibiiton in Denmark. Exhibition period: The Woven Haeart Art Museum opened in Oct 2014 and opening hours are from medio Oct - Medio dec. each year. Media: Lisbet Lark´s paper art invention from 2009-2015. Woven paper Hearts in 6- 9 pcs of woven paPer with diffent front and reverse, her own exhibition furniture design) and drawings and music. Meassures: 12 x 13 cm each. 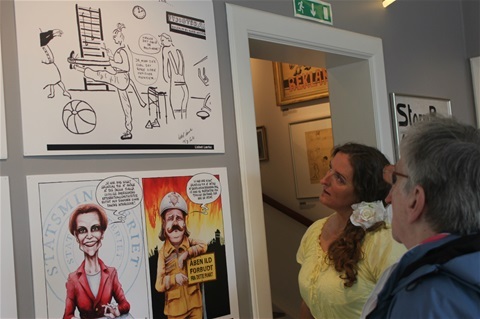 Type of exhibition: Semi-permanent exhibition open from oct. - dec. each year. Still being built up and driven by volunteers. Lisbet Lark´s Unique woven Heart art is a highly recognized art medium itself, as it has been on travelling international exhibition, on a permanent museum exhibition outside DK, and on the London Art Biennale 2015. Therefore, The Woven Heart Art Museum, "Julehjertemuseet" is a recognized museum, too, as it contains only recognized art media and artworks. Adress: The Balian House in Izmir, Turkey. Genclik Cadessi No4, 35100 Bornova, Izmir. Type of exhibition: Permanent exhibition, selected artist.